Visiting Niagara Falls for a vacation doesn’t mean you have to break the bank to have fun. The region offers tons of budget friendly events that are great for the entire family to enjoy. Check out some of these upcoming events! Free Yoga: Free yoga is running at 9:30 a.m. at Outlet Collection in Niagara for the rest of July. Those who would like to take part are encouraged to bring a mat and all their yoga supplies. The best part about yoga at the Outlet Collection is that you can go shopping right after the session has finished! RCMP Officer Meet and Greet: Get a chance to meet a Royal Canadian Mounted Police Officer this summer at Table Rock Centre. Ask the officers questions and take pictures with the heroes of Canada! Montebello Park Summer Concert Series: For the rest of summer enjoy free live music at Montebello Park in nearby St. Catharines. Grab your family, some chairs, snacks and enjoy music from your favourite local artists at the park. Corvette, Classic and Hot Rod Show: Take advantage of free admission to this annual car show and check out some of your favourite classic and hot rod cars. Kids can stay busy playing in the Children’s Centre, which is filled with fun activities throughout the day. @ The Museum Thursday Nights: The Niagara Falls History Museum is hosting events all throughout summer and September with free admission for the whole family. Activities include family craft-making, educational programs, free live music and art demonstrations. 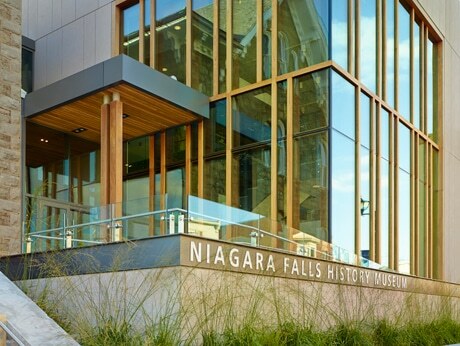 If you need something to do this summer in Niagara Falls check out some of these upcoming events that include free admission and of course many memories!